Another finished quilt! 2009 has been a very good year for me when it comes to actually finishing things. Maybe it’s this blog writing thing… it makes me accountable to the world for the things I start and then I feel obligated to eventually show a finished product of what I talk about here! 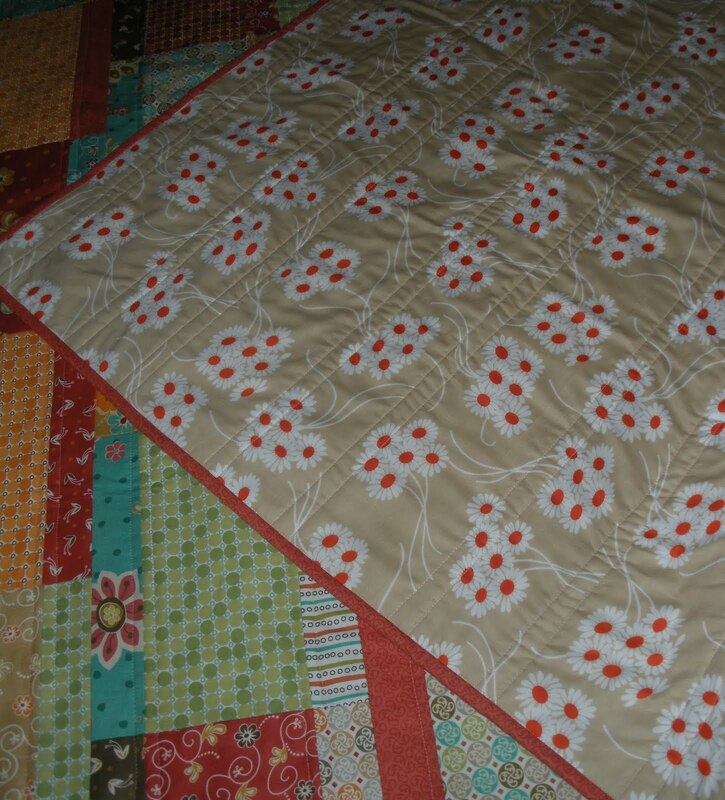 I did a quick binding, sewing it on by machine, which actually makes it good and secure for a quilt that is going to a young person and it may be facing several washings. I love the deep coral color of this binding print: I hope 2009 has proven fruitful for you as well! Any grand sewing plans for 2010? What a wonderful quilt! I love it! 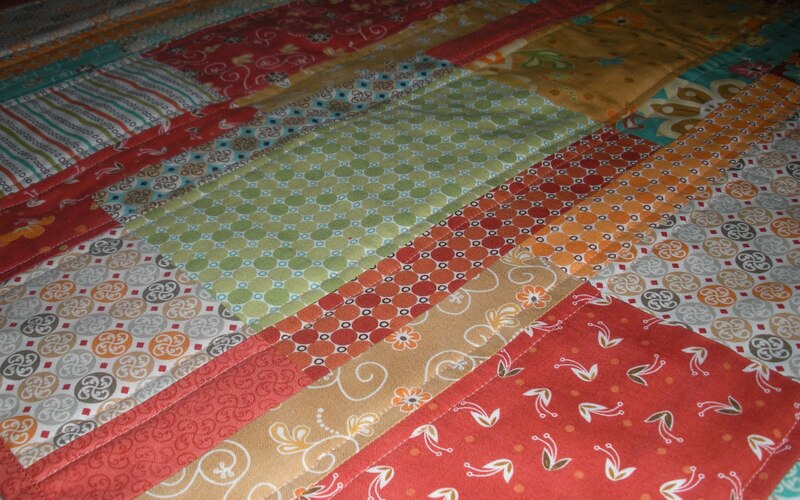 That's a very pretty quilt, and looks like a straightforward, simple design. It will make a great gift. 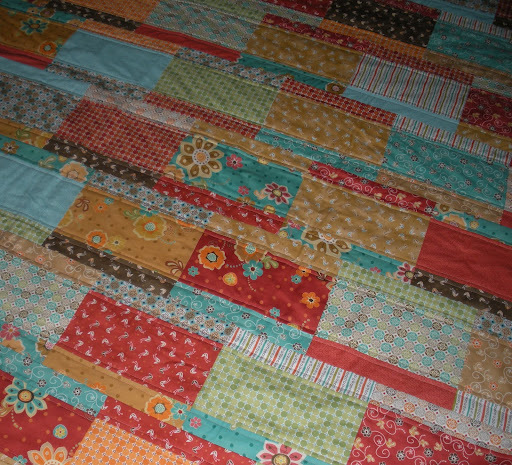 I am setting my 2010 quilting goals right now. I'm writing a little poem about it, and will publicly declare it on my blog soon, so as to keep me accountable. I like the rectangles! and the fabric is yummy!!!! So Doris, isn't that nice that all your quilts get a cat scan? How on earth did I miss so many of your wonderful posts. 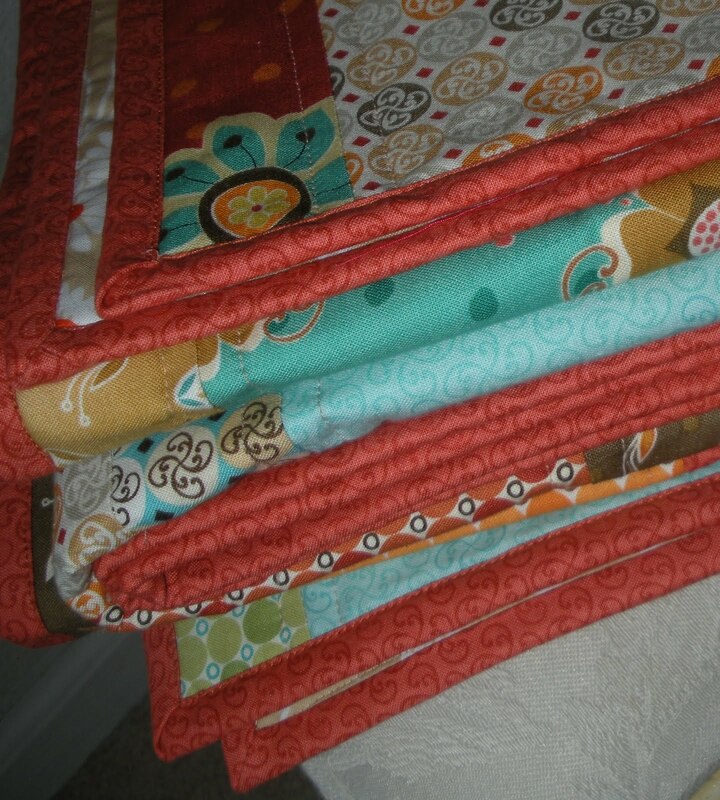 I'll have to pay attention, your finished quilts are always a joy to see. 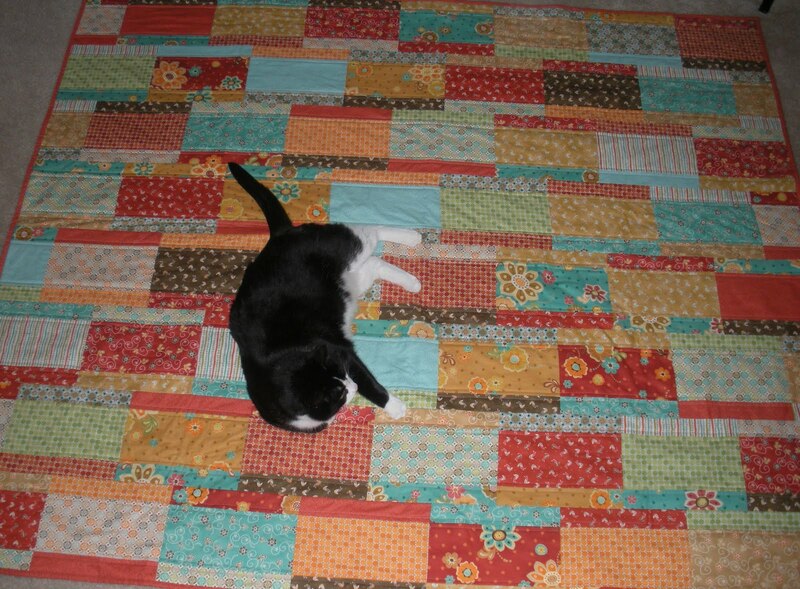 Love the quilt…went to the store to try and find the kit or book and couldn't.